Vale coach Sean Taylor hopes the League Cup can be used as an opportunity to generate some success for the season. He then wants the team to go and strive for improvement next season. After a topsy-turvy season, Vale ended up finishing 12th in the league. There were some impressive results and good runs of form which showed the ability and potential which exists at the club, but there were also some disappointments and losing streaks which undermined some of the good work. Reflecting on that, Taylor said: “League positions never lie and that’s the bottom line. We were in a strong position with five games to go to finish top half which would have been a fantastic achievement for the club. “It just shows how tight a league it is that we’ve finished 12th when we could have ended up top half. We went on winning and losing streaks and we can’t afford to do that next year. “The League Cup gives the guys one last chance to push for silverware. Stirling came down here a few weeks ago and scored a last minute goal in a very even match. If we turn up on the day we’re as good as anyone in this league. This was his first season on the staff at Vale after Chris Anderson brought him in to primarily work as a fitness coach. His role has ended up being more wide ranging than that, and he has enjoyed his spell at the club so far. “It’s been fantastic. I can’t thank the club enough and Chris for giving me the opportunity to come in and work with the guys on a weekly basis. “It’s been hard at points, being a small club you have things to deal with that sometimes come out of nowhere but as a club we’ve came together and are in a stronger position going into next season than we were last year”, said Taylor. Along with Chris Anderson, Assistant Manager Keith McLeod and Goalkeeping Coach Mark Beveridge, Taylor recently signed on for a further two years. After signs of progress in their first year, the 29-year-old revealed there is an ambition to keep on developing. He added: “I was delighted to sign on for two more years. Chris is a close friend and we share the ambitions so it’s great working with him and the other members of staff. We’ve a unique group of players who work there socks off for me in training and I genuinely believe there is more to come from them. “With some added additions of quality we can take the club higher without question. Top eight would be a good target but I think we can go further. It’s about getting the momentum early season and finding that consistency. “Finding consistency is paramount for a strong showing in any league. It’s been a learning curve for some of the players who have come from a lower level or Boys’ Club football and maybe took time to adjust. The curtain comes down on the Lowland League season tomorrow, but it will not be a case of taking the foot off the pedal for Vale of Leithen. 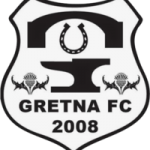 A win against Gretna 2008 married with favourable results elsewhere could elevate them to seventh in the table. Despite a season featuring frustrating spells, Vale have shown their ability and potential at other times and a top half finish would constitute a fairly successful season as well as being just rewards for the efforts of players and coaching staff. They could already be in seventh had things gone their way at Hawick on Tuesday night but a spate of call offs left Chris Anderson with slim pickings from which to choose his side and a 3-1 reverse was the outcome. Anderson said: “It was always going to be a difficult night with so many players not available for one reason or another. “I had several call offs late in the day and only just managed to field a team. Several of those unavailable during the week return to the squad today to make the squad much fuller for the crucial trip to Gretna. Anderson wants the side to take advantage of that by propelling themselves up the league and make a statement ahead of next season. “We will go to Gretna with a stronger squad than Tuesday night’s defeat to Hawick. We welcome back Ryan Currie, Ali Smith, Shaun Stevens, Sean Stewart and Keith McLeod. “A win could see us still finish in the top half of the league which would be a fantastic achievement in our first season together as a group. It would also give us a platform to build a team capable of competing with the bigger teams next year. “There’s nothing wrong with ambition and I’m looking for players to show me they are committed to improving the team next season”, he added. 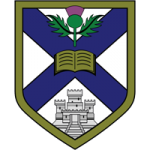 Ali Smith believes the closeness of the two teams’ league positions makes the Vale’s match against Edinburgh University an important one. The two teams are locked on 34 points in the Lowland League ahead of tomorrow’s clash and so it represents a chance to jump ahead of them and go three points clear. With only a few games left of the league season, every point is massive as teams scramble to finish as high up as possible. Vale’s season has promised much but also frustrated in equal measure and they will be desperate to finish on as much of a high as possible and prove that they can compete higher up in the league than the table currently shows. Smith said: “It’s a big game because of how close by the teams are in the league. It should be a tough game because they are ahead of us in the league so it would be good to get a result against them. “I think we played well against Stirling Uni until the last ten or fifteen minutes when we maybe switched off a bit. So we can be confident of getting a result. “Since I’ve come in it has been good to get some game time. I’ve been injured for the last couple of weeks so I need to try and get back in. The midfielder is currently on loan from Hibs, where he has unfortunately been told he will not be handed a new deal for next season. He revealed that there have been no discussions with regards to a move and as such he is playing to win a future somewhere. “I’ve been told that I’m not getting a new contract at Hibs. There hasn’t been any chat about getting anything else sorted, so hopefully it’s something that gets sorted in the next few weeks. “I will just need to keep playing and trying to do well for the rest of the season to try and secure something”, he said. Vale will be boosted by Wednesday night’s hard fought victory over Whitehill Welfare and will be looking to build momentum. However, the uni also beat Welfare last time out and if the league is anything to go by a close match is in store. Tommy Patterson enjoyed his scoring role in the win over Whitehill Welfare like he has enjoyed the whole season, and he insists that he is looking forward to more of the same next season. The teenager loves to bomb forward from left back to try and provide ammunition for his team-mates, but found himself on the score sheet when the ball broke to him following a save from visiting keeper Bryan Young. He is in his first season at both the Vale and in the Lowland League and has thrived on testing himself at this level. With the season in its closing stages, he is already excited about the prospect of another campaign at Victoria Park. He said: “It’s good to get a run out in the team, I’ve obviously played the last couple of games. “It’s obviously good to get a goal as well. I’m enjoying it and the step up to Lowland League football has been really promising this year. I’m hoping to keep going with Ando and Vale of Leithen. It was a tight affair with Whitehill pushing Vale all the way in the second half, forcing the defence and goalkeeper Andy McQueen to stand up and be counted. They did so and that paired with getting two goals during their own good spell won them the match. “It’s been the same in most of the Lowland League games – everyone is tough opposition so there’s always going to be tight games. “You’re under the cosh at times in every game but we held it together pretty well and defended solidly from the back, and obviously the front men worked hard as well. “It gives us motivation. Whitehill have been on a good run in recent weeks, getting results against good teams so hopefully this can push us on. “We’ve got Hawick next Tuesday – hopefully a Borders derby that we’ll get a win in and hopefully try and push on and get as far up the league as possible and kick on next season”, added Patterson. A battling display saw Vale overcome Whitehill Welfare at Victoria Park, to beat the Rosewell side for the second time this season. Both sides enjoyed spells on top and Welfare made Vale work very hard for their victory, particularly in the middle part of the second half. It was the away side who threatened first through Daryl Healy’s volley into the arms of Andy McQueen, and on 11 minutes Vale were in front with their first effort on goal. It was a cleverly stabbed finish from experienced marksman Keith McLeod, after the ball had fallen to him 18 yards out from Tommy Patterson’s free kick. They asserted themselves after taking the lead and the midfield trio of Robbie Manson, Ali Smith and Ryan Currie were winning the battle. McLeod attempted to play in Blair Atkinson, forcing a collision between the top scorer and visiting keeper Bryan Young. Whitehill responded and Connor McGregor had a low shot deflected into McQueen’s arms. It remained Vale who looked the most likely to add to their lead before half time, but they just couldn’t make it happen in front of goal. The closest they came was a teasing ball across the face of goal from ubiquitous Patterson which had no takers on the end of it, and Ryan Currie drove into the box before trying to pick out Craig McBride who could not find the space. They got their goal six minutes after the restart and it was Patterson who had burst forward from left back once more. Currie sent Jason Stevens in the clear and when his strike was parried by Young, Patterson was waiting. They were immediately pegged back by a sensational Michael Osbourne free kick which looked like it was heading for the top corner as soon as it left his boot, rendering McQueen redundant. The game really started to open up with clear cut chances, which had been lacking in the first half, becoming more of a feature. Welfare substitute Omar Ali had a header saved, and at the other end centre back Steven Lynch was kept out by Young’s legs. The biggest threat to Vale’s lead was the delivery from set pieces of Connor McGregor. Time and again he launched grenades into the box with only some brave defending and good goalkeeping preventing a leveller. Ali looked certain to bulge the net when the ball fell to him from yet another McGregor free kick, but McQueen produced a stunning save from his volley. From the corner, again coming from McGregor, John Williams sent a header wide. It was Whitehill who were well and truly on top by this stage but Vale stood up to the barrage well, with Lynch and McBride strong at the back and Sean Stewart like a pit bull at right back. Osbourne came within inches of equaliser after a good run into the box, but his rising shot skimmed the bar twelve minutes from time. It was getting nervy for the home faithful but with the clock running down the team managed to settle things and give the back four a reprieve by getting the ball up the other end to see the game out. Liam McIntosh even came close to making it 3-1, but slammed his shot into the side netting from Shaun Stevens’ cross. Vale: McQueen, Stewart, Lynch, McBride, Patterson, Smith (Motion), Manson, Currie, J.Stevens, Atkinson (McIntosh), McLeod (S.Stevens) Not used: Scott-Mercer, Hunter, O’Donnell. Whitehill: Young, Robertson, Williams, McGregor (Russell), Dodds, Ross-Kerr (Ali), Healy, Laing, Osbourne, Samson, Spowart.